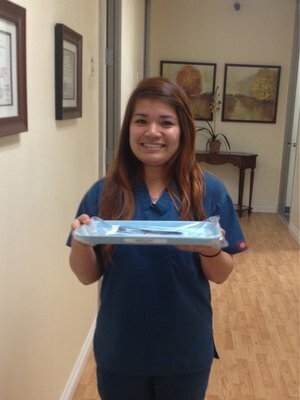 Diane is a current college student that is pursuing a career as an oral surgeon. Her long term goal is to travel the world and provide free dental work for the less fortunate. During her spare time she enjoys reading classic novels, watching movies, eating burgers and traveling. Sophie Sam graduated from career college in 2010 as a dental assistant. She has been working with Dr. Park for about 3 years and is pursuing a career as a dental hygienist. Sophie enjoys running, playing tennis and spending time with her child Michael.